From left: Alise Tifentale, David Cohen, and Hyewon Yi. 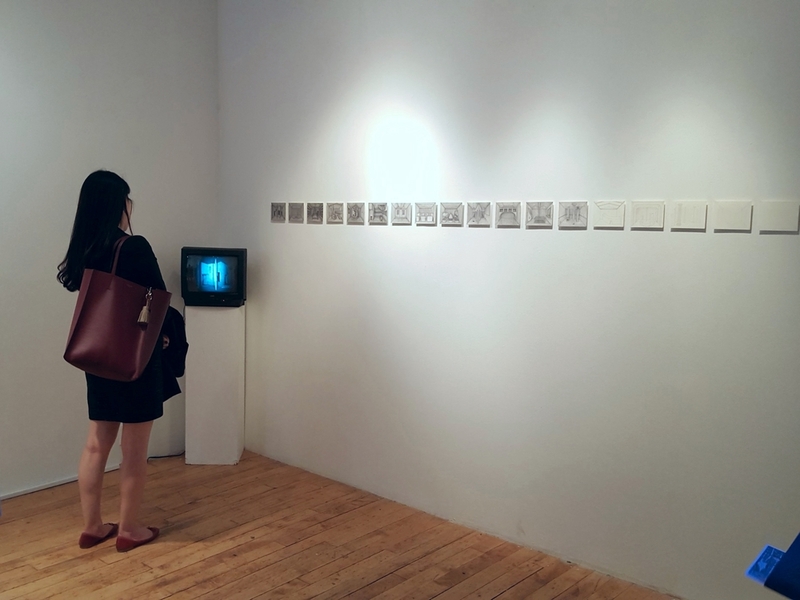 Korean contemporary artists who are working in the US have a great resource to support them, the AHL Foundation which - among many other activities - awards generous cash prizes. This year, I had the honor and responsibility to be a member of the jury for one of the competitions, the 2015 Contemporary Visual Art Competition. At the AHL Foundation Gala and fundraiser, October 24, 2015. Photo by Hon Sun Lam. 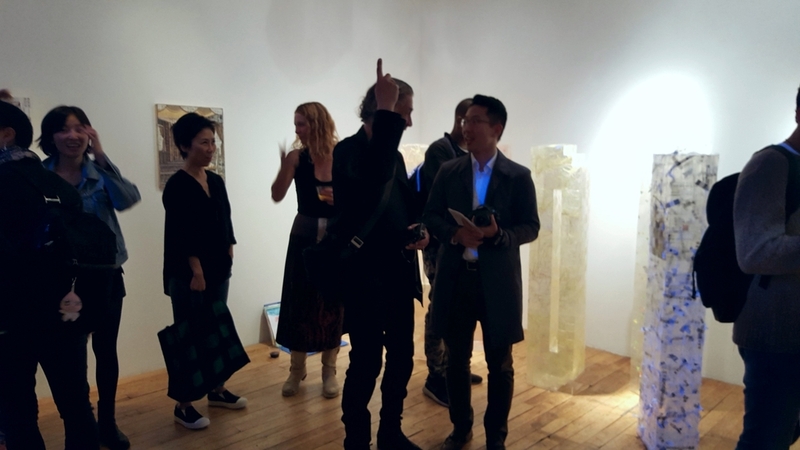 Together with Hyewon Yi (Director and Curator of Amelie A. Wallace Gallery, SUNY Old Westbury) and David Cohen (Editor and Publisher of Artcritical; Founder-Moderator of The Review Panel at the National Academy Museum) we reviewed more than a hundred applications and selected four winning artists in January 17, 2015. 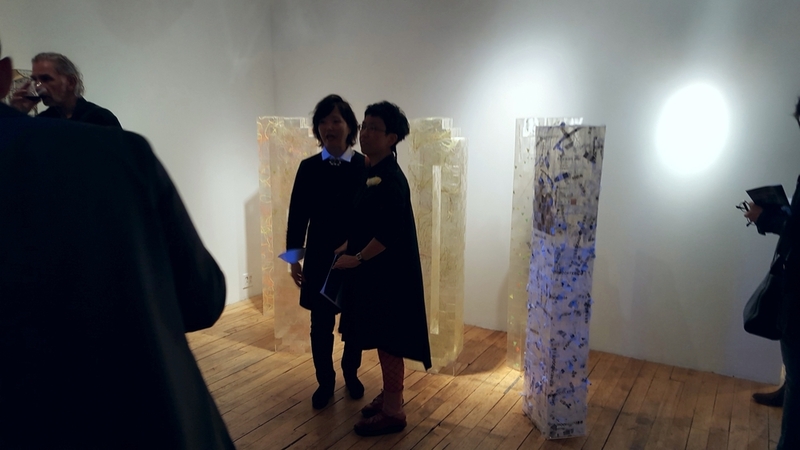 Part of the prize for the artists was an opportunity to show their work in a group exhibition Spatial Visions, curated by Hyewon Yi at the Art Mora Gallery in Chelsea, NYC (October 22 - November 4, 2015). The other part of the prize was awarded during the annual AHL Foundation Gala and fundraiser (October 24, 2015). Eun Young Choi, Director of Programs of the AHL Foundation, is doing an amazing job in making these well-organized and memorable events happen. 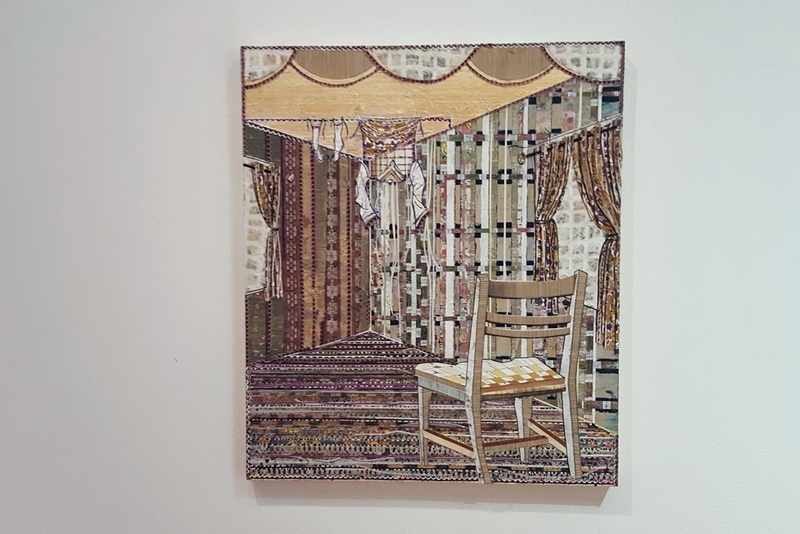 Read more on AHL Foundation's website about the annual Contemporary Visual Art Competition as well as the foundation itself - it is initiated and led by Sook Nyu Lee Kim with the aim of supporting Korean artists working in the United States. I think it's a great cause and worthwhile to support.